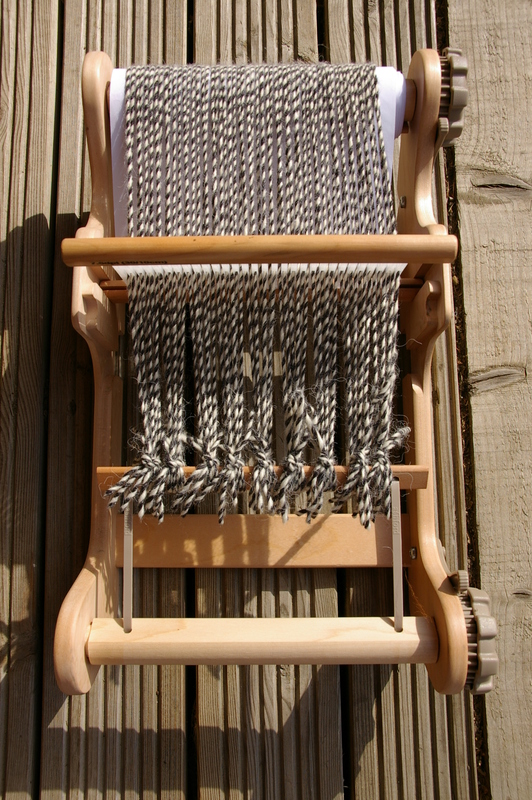 The SampleIt loom is a really great little loom. Perfect in every detail just like it’s bigger cousins. I have put on a scarf length here in this lovely soft black and white yarn so that I can weave a scarf and do a bit of sampling at the same time. The loom comes with a 7.5 reed which seems to be good for most DK yarns but I see you can buy other reed sizes. It is all so dinky…..I am going to weave in white alpaca first and then black and then a mixture of the two and then maybe some grey as I want to make a pinafore dress for the winter that has a bodice top and a longish skirt. 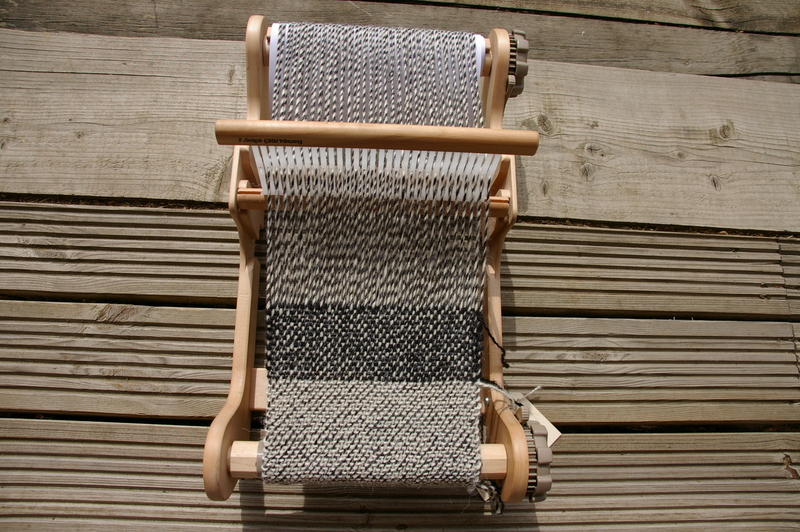 I like the idea of making one side black on this warp and the other side white, but who knows! At the moment I like the black the best as it sets of the warp well and also it seems to weave better as a singles yarn rather than a plied one. 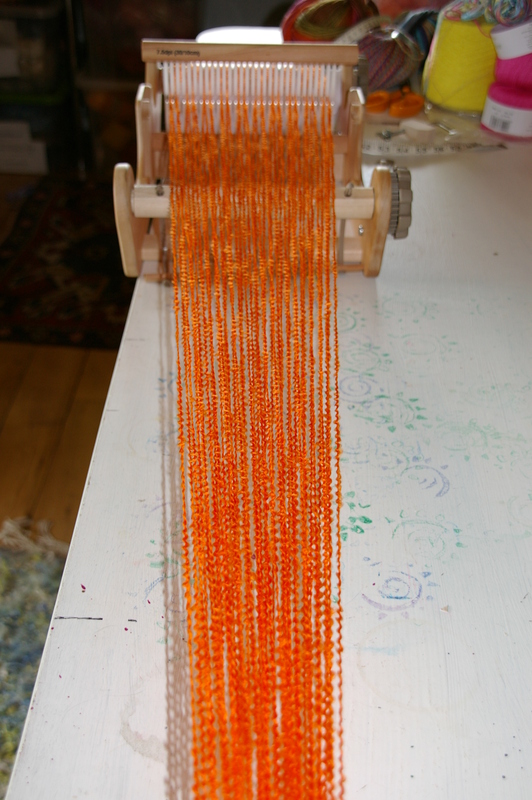 I very seldom make a sample as I am always keen to get started and sometimes making a sample rather takes the magic out of the idea, but this little loom is so sweet to use sampling seems to be fun. 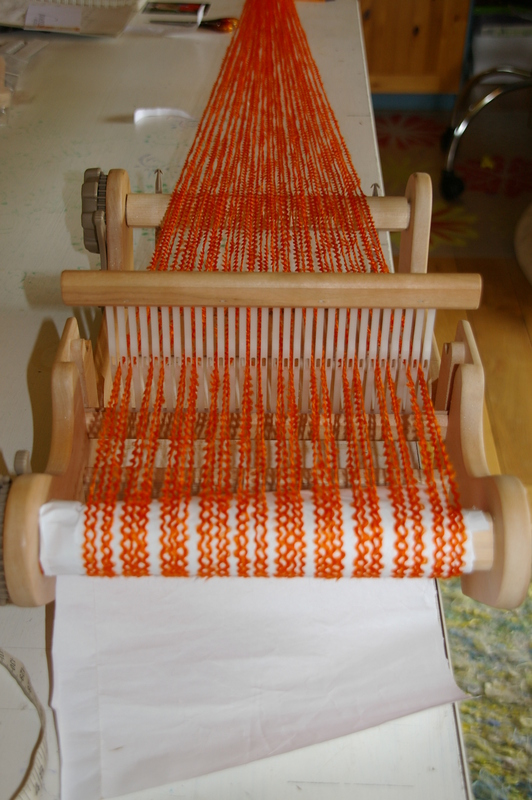 You can use the Quick Threading method to get your warp onto the loom and be ready to start weaving in less than an hour. Finished results coming soon.